U.S. President Donald Trump may be helping to revive Canada’s dream of a liquefied natural gas export industry to supply growing markets in Asia. The tariffs Trump formally ordered against US$50 billion in Chinese goods threaten to raise construction costs for LNG projects in Texas and Louisiana, providing a leg up to rival projects on Canada’s Pacific Coast. With a global gas glut tightening faster than expected, Royal Dutch Shell Plc and its partners in a proposed British Columbia complex are closing in on a final investment decision. 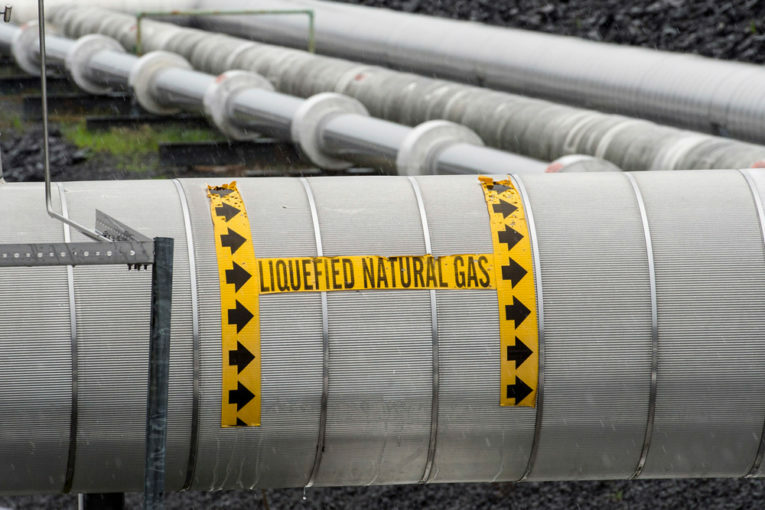 LNG Canada — a $40 billion (US$31 billion) partnership led by Shell that includes PetroChina Co., Korea Gas Corp. and Mitsubishi Corp. — envisions an export facility in Kitimat that could eventually ship 26 million tons a year of super-chilled gas. The group’s twice-postponed investment decision is now expected by the end of this year. The province on Thursday announced tax breaks and other cost-reducing measures that could save the partners $6 billion over 40 years. The catch is they have to greenlight the project by Nov. 30 to capture those savings. LNG Canada’s complex has the potential to ship a quarter of the gas currently produced in Western Canada, Forrest estimates. That’s critical because the lack of an outlet to overseas markets means Canada’s energy exports are sold almost exclusively into the U.S. at depressed prices. Canadian producers are hopeful. “From what I can see, I think there’s a lot of optimism that they’ll make a positive final investment decision,” said Cenovus Chief Executive Officer Alex Pourbaix, whose company extracts gas at its Deep Basin deposit straddling British Columbia and Alberta. He commented during an interview at a Houston energy conference earlier this month. Tellurian Inc. warned last week that steel tariffs could “significantly increase” the cost of its proposed US$15.2 billion Driftwood LNG plant in Louisiana. Freeport LNG’s project under construction in Texas is far enough along to escape the duties, but CEO Michael Smith said he worries that if the tariffs spark a trade war with China, the project could suffer because China is a potential long-term buyer of the gas. That risk doesn’t appear to have registered yet with the Trump administration. Commerce Secretary Wilbur Ross, speaking Thursday after his boss levied tariffs on Chinese imports, said it would be “very logical” for China to buy more U.S. LNG.